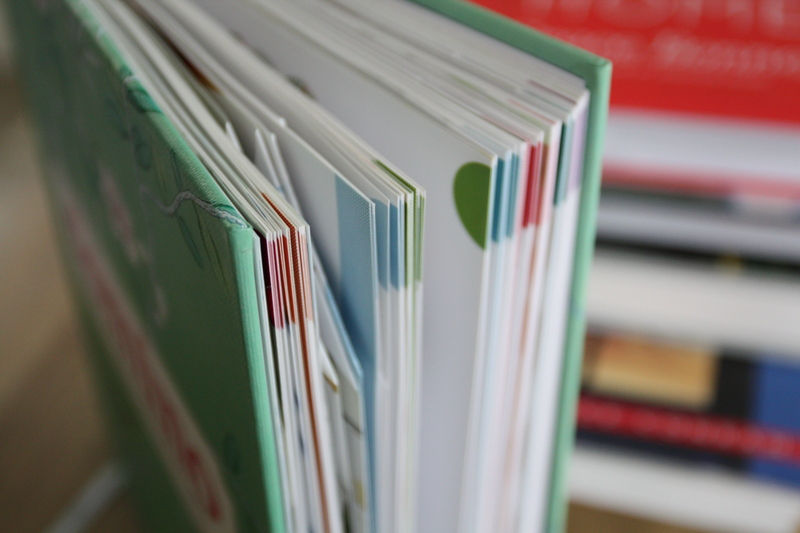 This week I wanted to share some of my favorite design books. Books! Real books! Some of them are the usual suspects, but a few are books that I haven’t seen on the design blog circuit much – if at all. 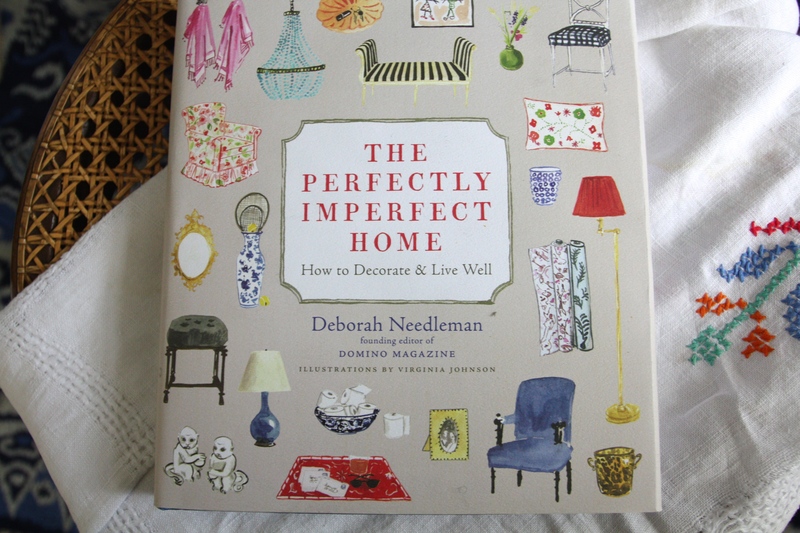 The first is Deborah Needleman’s “The Perfectly Imperfect Home.” Rather than photographs, the book includes beautiful illustrations by Virginia Johnson. The book is organized by chapters with names like “A Bit of Quirk,” “Cozifications,” and “Glamifications.” I’ve read it cover to cover several times, and I try to follow all of its prescribed rules. 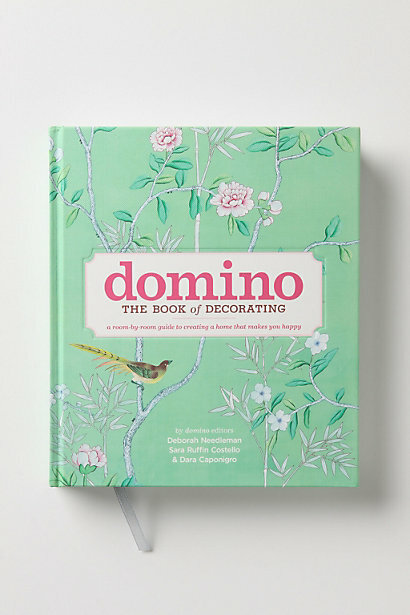 Next on my list is “Domino, The Book of Decorating.” This book is sure to grace the shelves of every decorating enthusiast, and there’s a reason it’s so popular: nobody does eclectic-classic-fun like Domino. 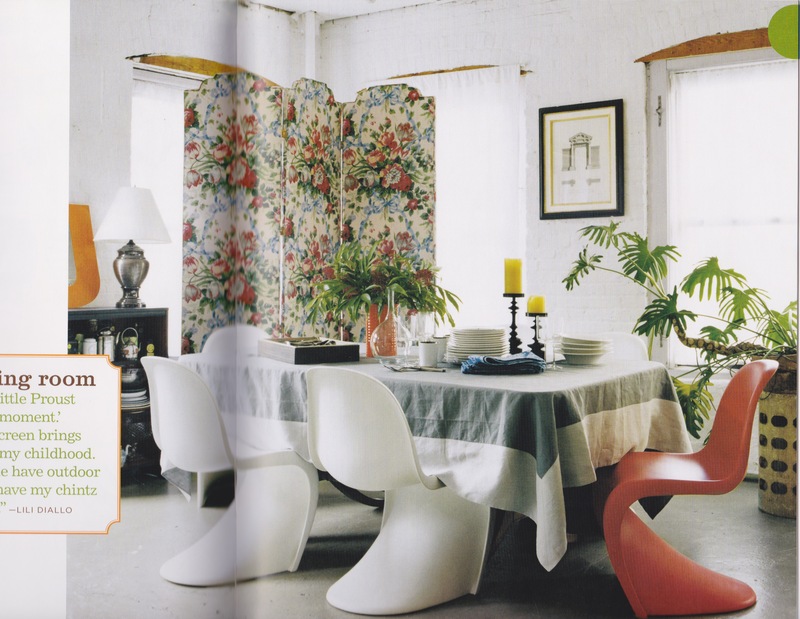 Remember these pages from the Panton S Chair quest? Scanned from Domino, of course. 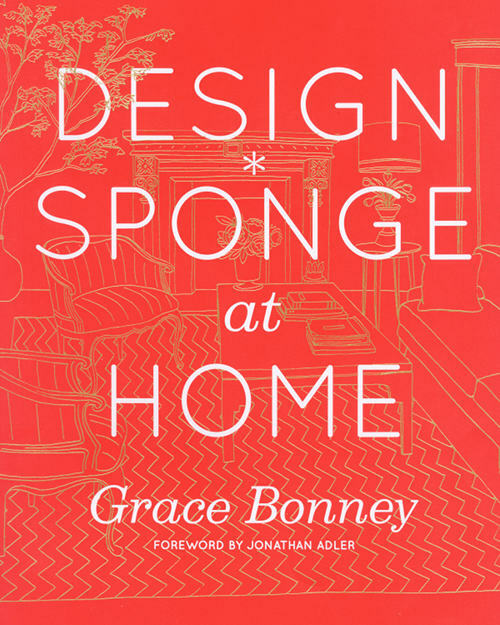 Another classic beloved by many including me is “Design Sponge at Home” by Grace Bonney. Grace (in my fantasy world we’re on a first name basis) is the creator of the blog Design Sponge, one of the original and best design blogs out there. 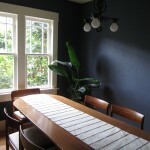 My favorite feature they do on the blog is Sneak Peeks, photographic tours of great homes filled with personality. The book is basically an expanded version of Sneak Peeks, and all of the homes look comfortably lived in and unique, rather than being rigid and styled to within an inch of their lives. 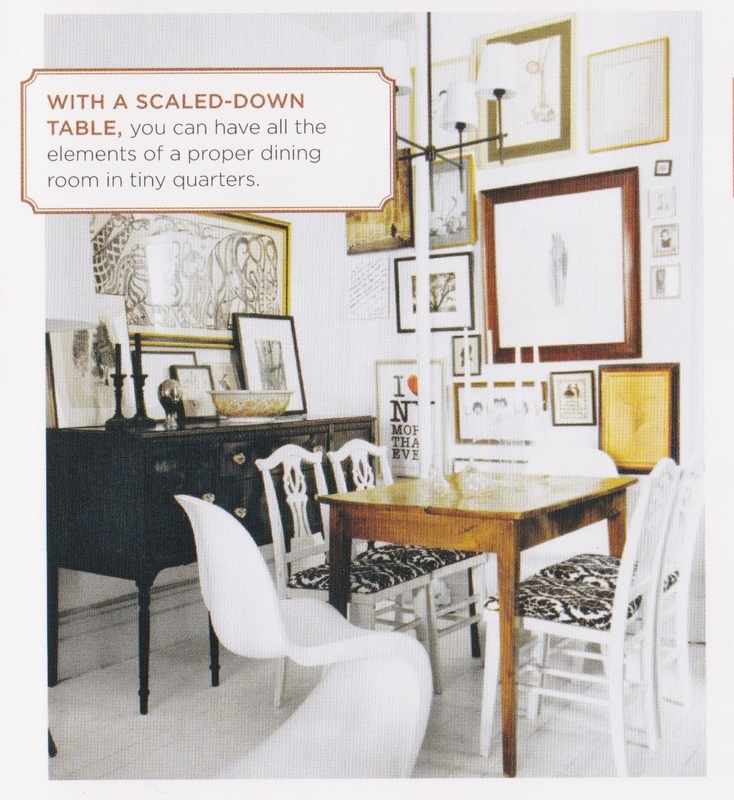 Next on my list is one of my absolute favorites, that I hardly ever see mentioned, “The Vintage Modern Home” by Katherine Sorrell. 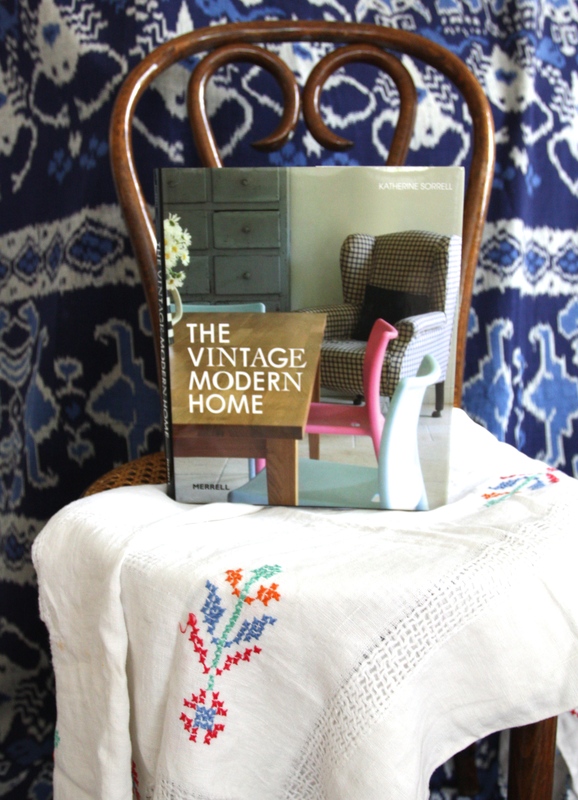 The Vintage Modern Home is all about “how to make the most of what you have in an achievable yet stylish way.” It’s one of the first decorating books I loved, because it taught me that you don’t have to have a strictly mid century modern aesthetic (and I don’t) to be stylish. Finally, two books by Terence Conran, “New House Book” and “The Essential House Book.” Published in 1985 and 1994 respectively, with the exception of a few photographs both of these books look like they could have been published this year. 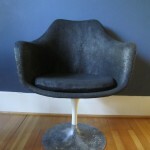 Good design lasts! I’m always searching for the next great design book to add to my collection, so I’d love to hear what your favorites are! Stay tuned for an awesome post from Katie this week, and next week I’ll be back to tell you about something really exciting that I’ve been up to for the past few weeks! 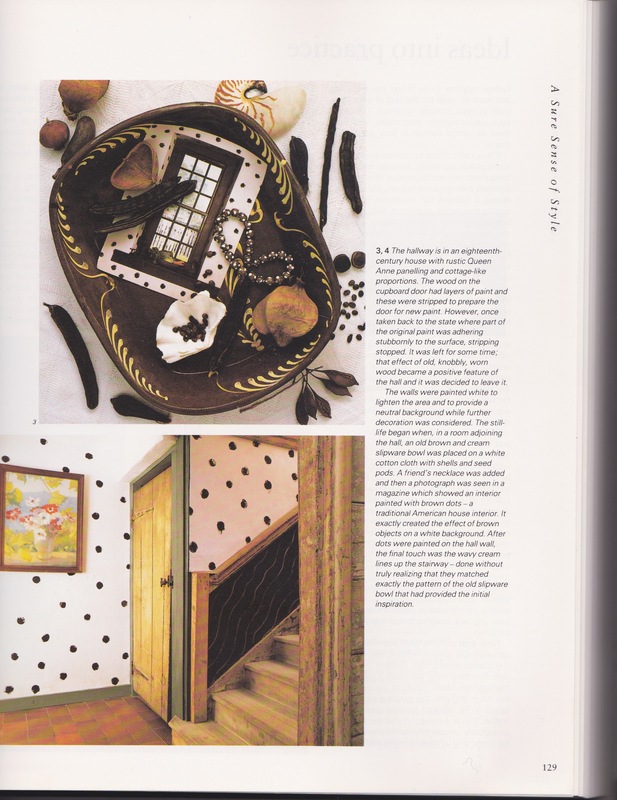 My favorite design book, although it really isn’t a real design book, is the one about Charleston Farmhouse in England. I never get tired of looking at the pictures of this artists’ house with its unorthodox combinations of ragged old furniture, threadbare carpets, handmade pottery, and painted panels on doors and fireplace surrounds, etc. I will look for some of the books you mention. They look wonderful. 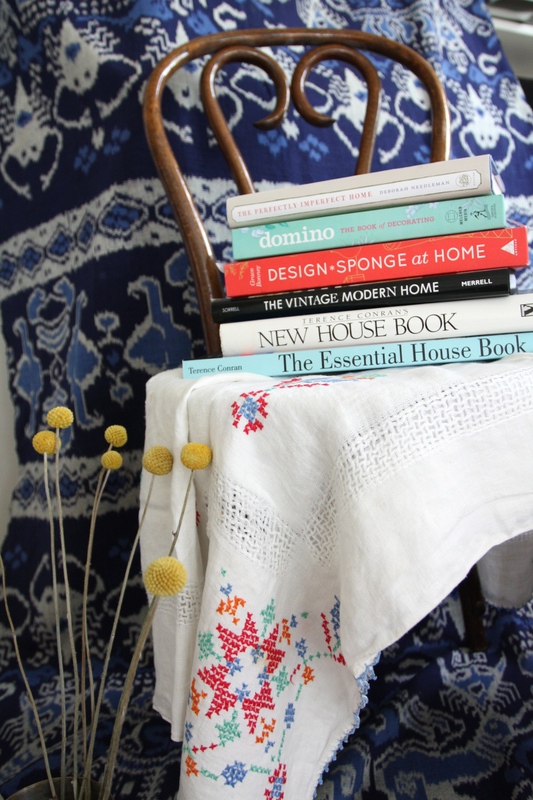 I already have the “Perfectly Imperfect Home,” and have reread it many times. 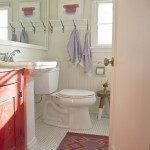 I love “The Perfectly Imperfect Home”! In fact, after posting this comment I am going to spend the afternoon re-reading it, while waiting for the latest rain to blow through. I remember when it was first published, a lot of people were a bit nutty because of the illustrations (rather than photographs.) 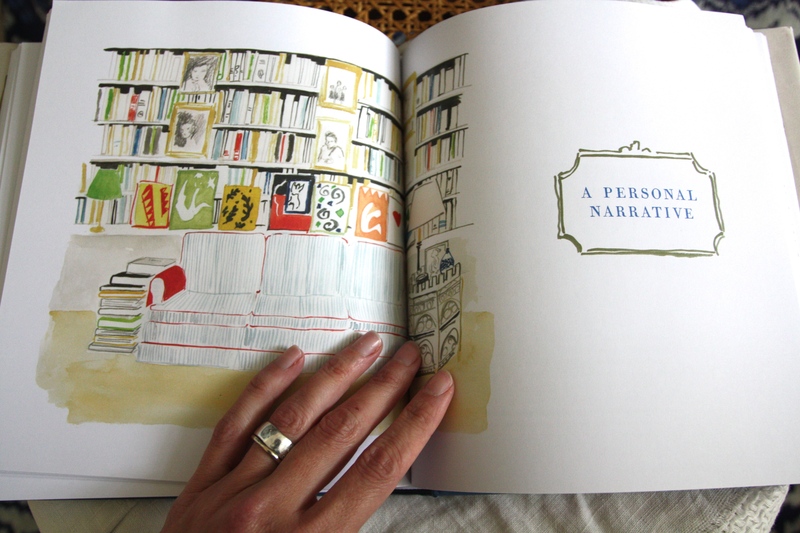 I *love* the whimsical illustrations (by Virginia Johnson) which are, in fact, based on actual photographs of actual rooms. Only as interpreted by an artist. That’s a bonus, the way I look at it. Another book I really like is “Found, Free & Flea: creating collections from vintage treasures” by Teresa Surratt. She and her husband bought a “derelict summer camp in Wisconsin” and in the course of repairing and restoring the property, they uncovered all sorts of treasures which she determined to turn into collections. In addition to her finds, she gathered pieces at flea markets and/or incorporated found items. While the style is a bit rustic for my taste, I can’t help but admire the clean simplicity of the aesthetic. I think you might really enjoy taking a look. To have, to hold, to mollify! 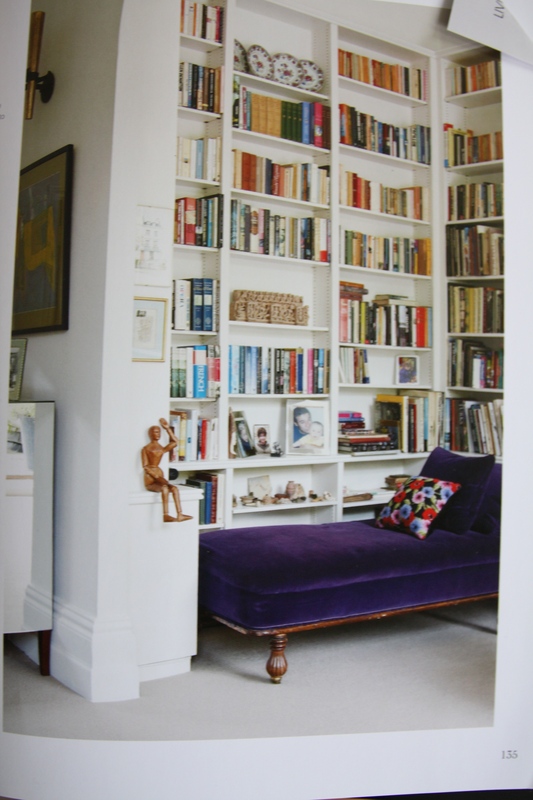 Mera – since your published this post I’ve been thinking about design books – and what are my favorites – agreeing with Carol about the Charleston book, also wanting to mention Sarah Susanka’s books about the not-so-small – they are so helpful for storage and design, making smart use of all space. Then this morning I woke up thinking that a design book I am really excited about is due out this fall (spoiler alert – a couple of people who read RHW might get this for Christmas). 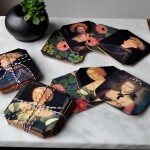 Lisa Borgnes- Giramonti, the blogger behind “A Bloomsbury Life” has written an “Novel Interiors” about what she’s discovered about design from favorite and famous novels. I’m really curious to see what she’s chosen to include and to re-remember the books and their settings. 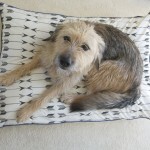 She describes it here: http://abloomsburylife.blogspot.com/2014/05/birth-announcement.html – seems a good (if in the future) addition to your inspiring list. the winter of Valley Forge. 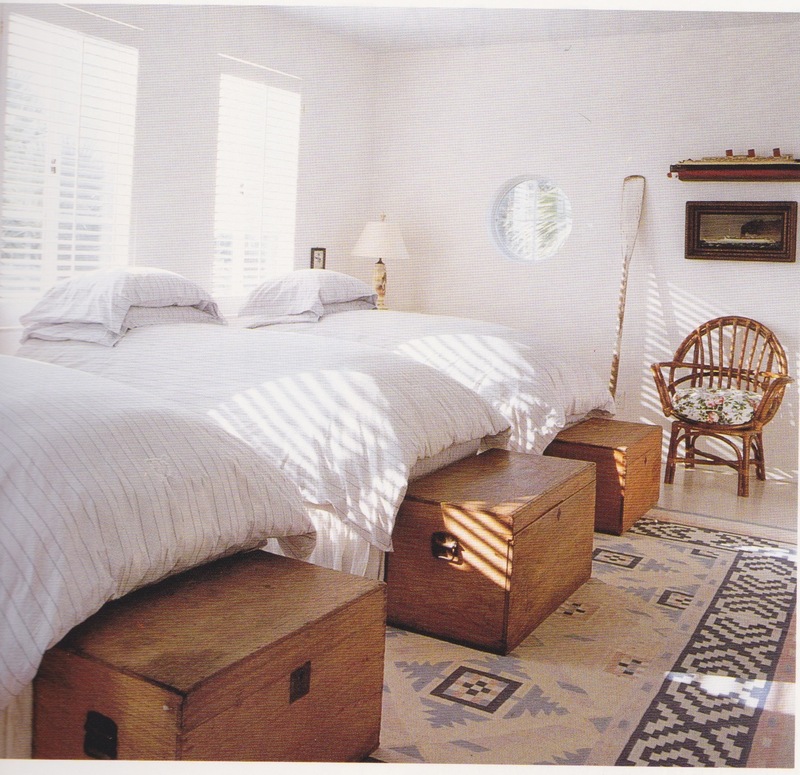 It is amazing in person–there wasn’t much furniture as each room had lots of built in storage. 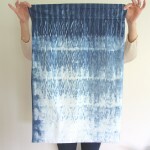 One of my current favorites is Home Therapy by Laura Ward of Use What You Have. I am reading your archives too.